Can You Get a Patent for an Idea? You cannot patent an idea alone. If you develop the specifics of your idea, however, you might be able to patent it. A patent grants you a temporary legal monopoly on the right to use and profit from your invention. You may sell your patent outright or simply license the use of your invention. After your patent expires, anyone may use and profit from your invention. An idea must be tangible to be patentable. One of the implications of this principle is that your "invention" must not be too abstract -- a law of nature or a mathematical theorem, for example, cannot be patented. Your invention must perform a practical function, and you must be able to describe it in enough detail to allow someone else to manufacture it. Patent applications typically contain precise specifications and drawings. In addition to practical usefulness, your invention must be unique. This means that no one may have ever invented it before, regardless of whether the previous inventor applied for patent protection or not. Your invention must have also required a leap of creativity, known as "non-obviousness." This means that your invention cannot be patented if, from the point of view of a competent specialist in the field to which your invention belongs, its primary innovation would be an obvious next step in the development of the state of the art. 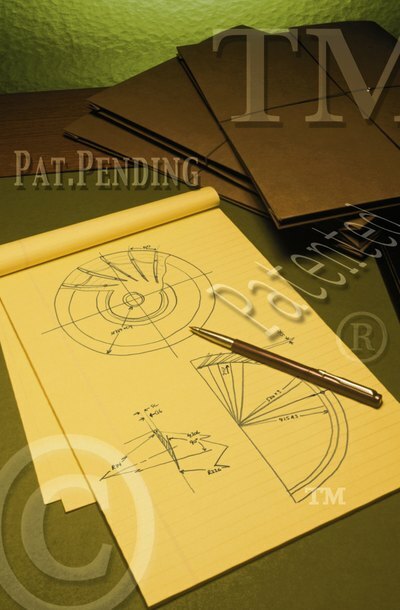 To patent your invention, you must reduce it to specifications and drawings. You must also create formal legal claims that establish its novelty, usefulness and non-obviousness. These claims are highly formalized and should be drafted by a patent lawyer. Your specifications, drawings and claims must be included in the application you file with the U.S. Patent and Trademark Office. The USPTO will review your application and will probably request a number of revisions. It will publish your application 18 months after your application filing date. Although approval may take years, approval is granted retroactive to your filing date, meaning that once you have a patent you can sue for infringement that occurred any time after your filing date. Most patents endure for 20 years after the filing date. There is no such thing as a global patent -- you must apply for patent protection in every nation where you desire protection. There are international treaties, however, such as the Paris Convention for the Protection of Industrial Property and the Patent Cooperation Treaty, each signed by over 100 nations, that make it easier for you to patent your invention abroad. The Paris Convention guarantees that your application will receive equal treatment with local applications. The Patent Cooperation Treaty allows you to have the preliminary steps in the patent examination process performed by filing a single application. When an inventor says that he has a "patent pending," it can mean that he has a provisional patent. Inventors who are low on funds or need a patent in a hurry often obtain a provisional patent. Although an application of a provisional patent is easier to file than one for a full utility patent, the provisional patent is only a step in the direction of obtaining a full patent and is not an end in itself. After one year, the provisional patent is discarded if you do not file for a full patent. While saving money and time are advantages of provisional patents, you should also be aware of possible pitfalls and how to avoid them. If you have some great food ideas and want the exclusive right to manufacture or sell them in the United States, obtaining a patent on each idea is a smart thing to do. To obtain patent protection, you must file an application with the United States Patent and Trademark Office, or USPTO. A separate patent application must be filed for each food product or recipe idea, and your application must reflect a tested process or product rather than just a vague idea.